I need the Staff Selection Commission Combined Graduate Level (Tier-I) exam question paper, would you provide here? The Staff Selection Commission conducted Combined Graduate Level Exam Tier II. 1. He denied to help me. 2. Hardly somebody turned up at the meeting. 3. Though he promised to support, he backed up in the last minute. 4. Akbar had a great reign than Babar. 5. The villagers were silent witness for the murder. 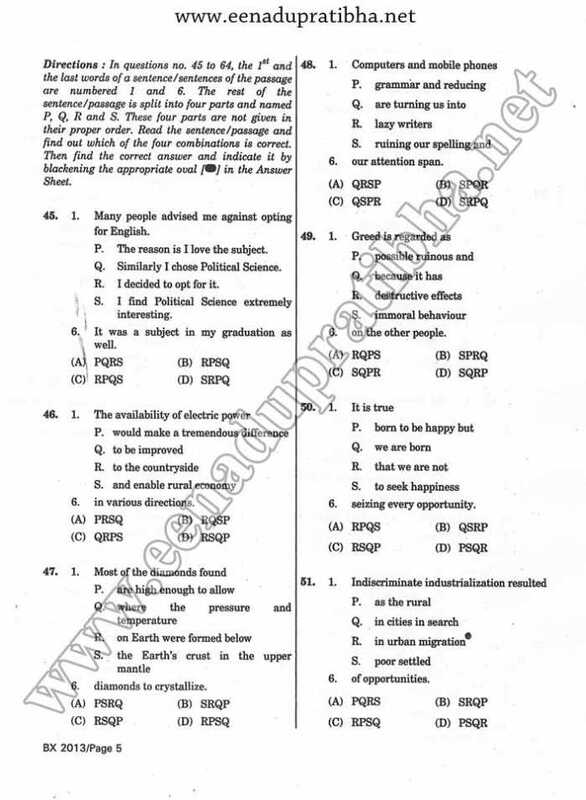 As you want I am here providing you sample paper of the SSC Graduate level Tier II exam. Here is the attachment of the paper.